If you're looking for speedy transfers at a reliable car park, then Quick Park at Dublin Airport is for you. Simply drive to the barrier, take a ticket and park your car. Then, hop on the transfer bus and you'll be at the terminal in 5 minutes. Best of all, the bus is included in the price! As you get to keep your keys with you when you go, your car will be kept exactly where you left it while you're away and you'll know exactly where it is when you get back. If you want to stay in control, but don't want waste time waiting this is the Dublin airport parking for you. Our most popular car park at Dublin is also the closest to the airport. 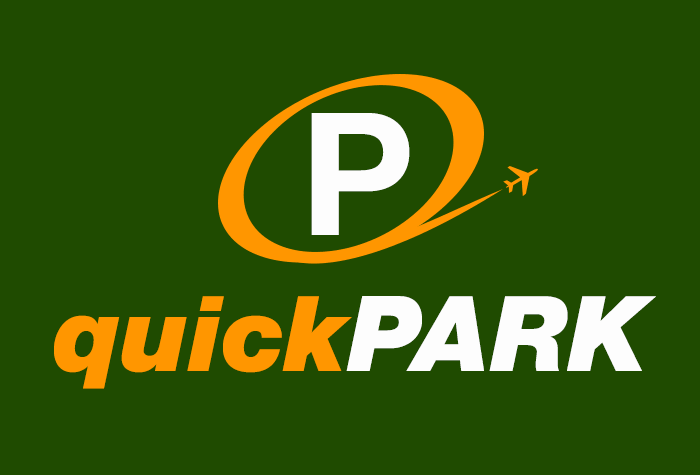 We've been thrilled by how much travellers love Quick park. We've just teamed up with this brilliant service and it's already our most popular car park at Dublin. It's no wonder, really: just a 5-minute bus ride from the terminal, Quick Park is our closest car park to the airport and they're really taking care of all the travellers we send their way. Head to the airport and you'll find Quick Park nearby. Take a ticket at the entry barrier and drive in. Choose your own space and keep hold of your keys, then hop on the bus straight to the terminal. It runs every 5 minutes, takes 5 minutes and your ticket is included with your parking. The bus has even been adapted for travellers with mobility issues. While you're away, your car will stay right where you left it. CCTV is in use and staff regularly patrol the car park day and night. It's a lot easier to enjoy your holiday knowing your car is spending the time in a secured car park. When you get back from holiday, just head to where the Quick Park bus stops outside Terminal 1. You'll find your car in the same space you parked it in. Head to the car park's office with your entry ticket and email confirmation and your ticket will be validated, allowing you to leave with no problems. Book now to be one of the first travellers to Quick Park with Holiday Extras. The bus can drop passengers off at both terminals, but will only pick up returning passengers from Terminal 1. We're afraid the car park doesn't have the space for long wheel-based vans or trucks. Unfortunately the car park does not have any accessible facilities for those with limited mobility. The car park runs a bus to both terminals every 5 minutes, 24 hours a day. The journey takes 5 minutes and your ticket is included in the package. The bus drops you off at the bus stop outside the terminal and there's even a lift to take you up to departures. You'll be able to get take the bus even if you have mobility issues and there is a lowered door and space for a wheelchair. When you get back, just head down to where the bus stops outside Terminal 1 and they will take you back to the car park. Again, your ticket is included. Unwieldy website. U.K. Address confusing. Airport should be mentioned again. we had to look for the pick up point as it was not maid clear were it was,apart from this every thing went OK..
Our customers rated Quick Park on average 8/10 (250 reviews). Read Quick Park reviews.